Workaholic Thomas Johnson dies in an auto accident and comes back to life as a dog. Remembering some of who he was, he returns to his wife and son to protect them from the man who caused his accident. But, as time goes by, he remembers more of his life, and realizes he wasn't such a good husband and father. 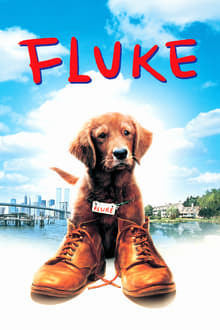 We don't have any reviews for Fluke.